Colleagues unite to refurbish a local playground. An old adage states, “Growing old is mandatory. 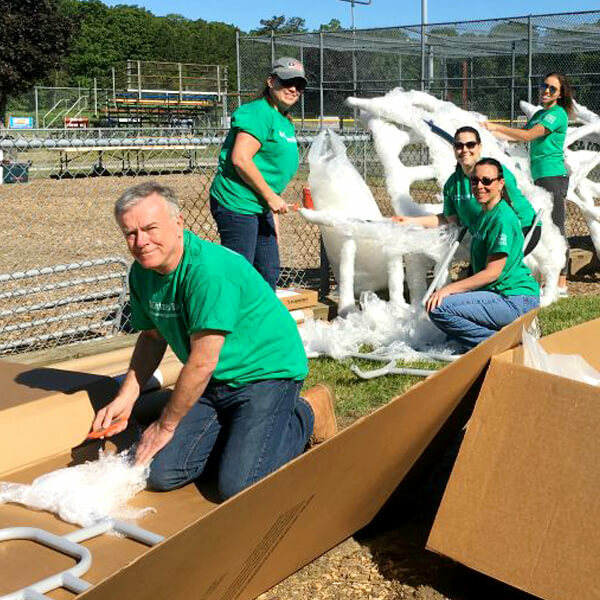 Growing up is optional.” Over 50 Citizens Bank colleagues lived this mantra as they refreshed a playground at Woodland Park in Johnston, RI. Despite it being one of the hottest days of the summer, colleagues came out to replace equipment, paint fencing, landscape the surrounding area and “test out” the jungle gym when it was all completed. The playground is close to the new Citizens campus in Johnston, which opens in the summer of 2018. The 123 acre campus includes four state of the art office buildings and a large parking garage for the 3,000 employees scheduled to relocate. The 420,000 square foot campus sits on mostly wooded land that has been developed to fit with the natural environment. The campus will include dining, fitness and wellness facilities for colleagues and fields and trails that will be available for use by the local community. 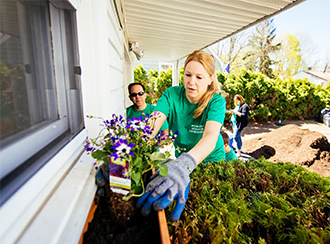 Many of the colleagues who volunteered did so to give back to a community they will soon call home. “It was hard work,” said Public Affairs Market Manager Brooke Havens, “but it was all worth it when we saw the excitement on the faces of the children who were invited to be the first to play on the new equipment.” Local residents walking by the project stopped to say thank you to the colleagues for the new playground, a nice affirmation of the impact they were making on the community. The result was a state-of-the-art play structure and updated area for the residents of Johnston to enjoy. Later, there was a ribbon cutting ceremony, which included Citizens’ Head of Corporate Affairs, Executive Vice President Barbara Cottam, Citizens’ Head of Property Services Mike Knipper and Johnston, RI Mayor Joseph Polisena. Also in attendance were kids from nearby Sarah Dyer Elementary. In her remarks at the ceremony, Barbara predicted that there may even be some future Citizens Bank executives who will form skills on that very playground. 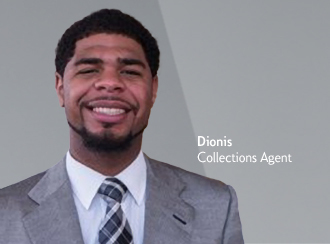 Learn more about our organization that works to strengthen and support local communities.